Tags: Bryan Buckley, Jed Dietz, John Legend, Liz Garbus, Moxie Firecracker Films, Robert Redford, Rory Kennedy, THE EXECUTION OF WANDA JEAN, WHAT HAPPENED MISS SIMONE? Robert Redford. Photo by Jed Dietz. The 2015 Sundance Film Festival is now in full swing, and MFF director Jed Dietz is onsite in Park City, UT reporting back to us. 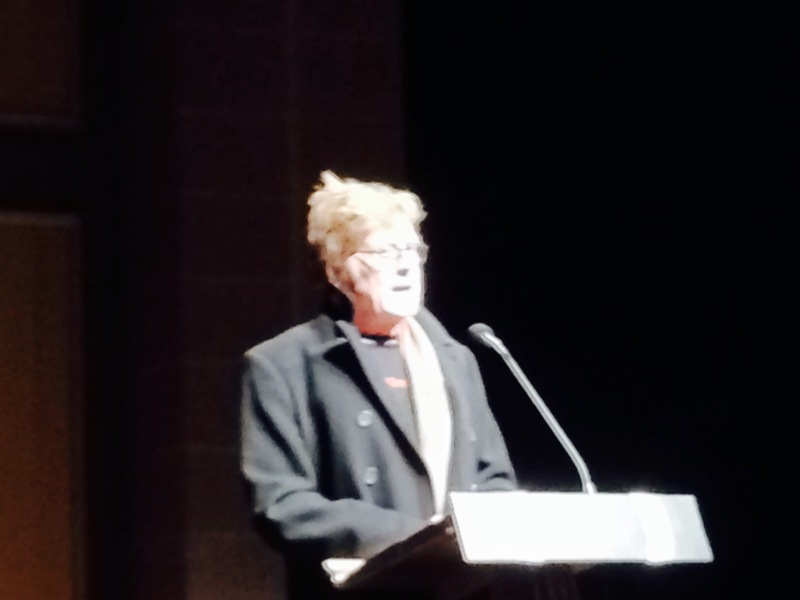 Pictured above, Sundance Film Festival founder Robert Redford introduces MFF alum Liz Garbus‘ new documentary on Nina Simone, WHAT HAPPENED, MISS SIMONE? which played after Bryan Buckley‘s comedy THE BRONZE on Opening Night of the Sundance Film Festival. 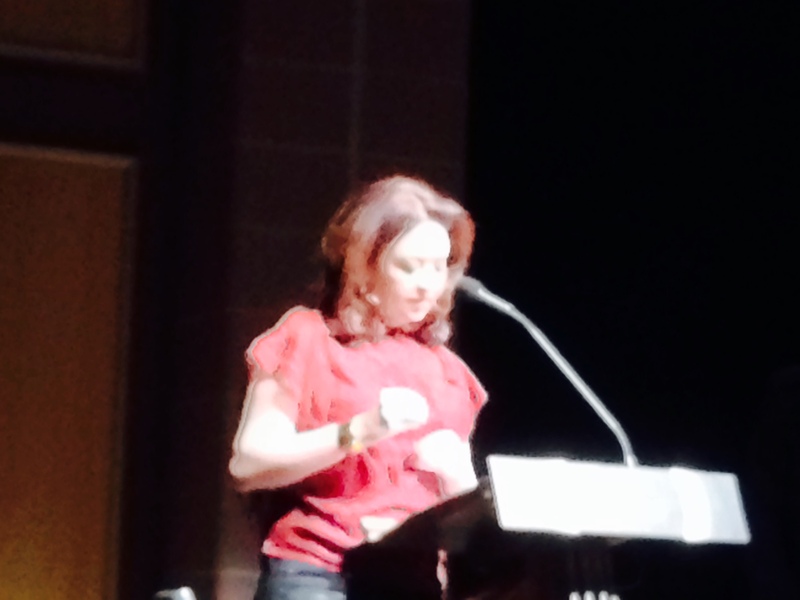 Liz Garbus. Photo by Jed Dietz. Liz Garbus is an Emmy Award-winning and Academy Award-nominated director and producer. Her gripping death penalty documentary THE EXECUTION OF WANDA JEAN played within MFF 2002. Garbus is also co-founder of Moxie Firecracker Films with fellow MFF alum Rory Kennedy. After the Sundance 2015 Opening Night screening of WHAT HAPPENED, MISS SIMONE? music star John Legend made an unannounced appearance and covered 3 of Nina Simone’s songs. Stay tuned to the MFF blog for more photos and updates from Jed’s trip to Sundance 2015!